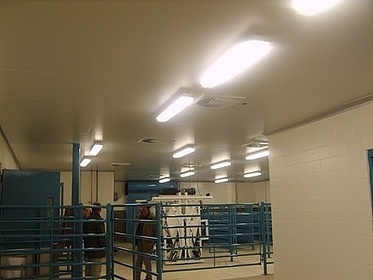 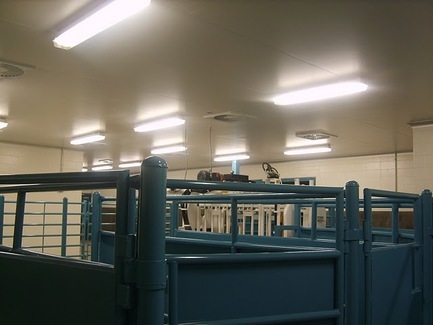 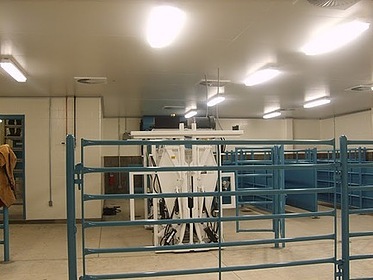 Radius covings are used to create fully flush corner transitions and seamless wall-to-ceiling and wall-to-floor connections. 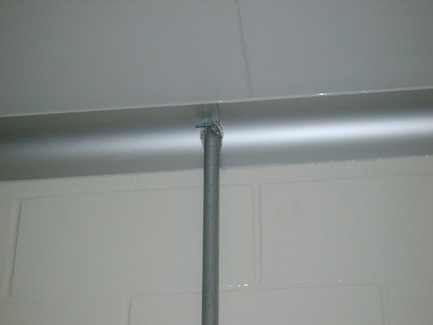 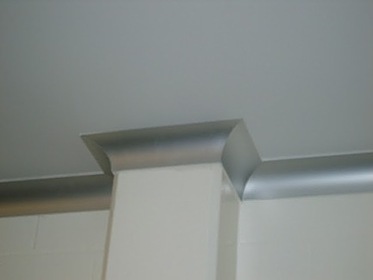 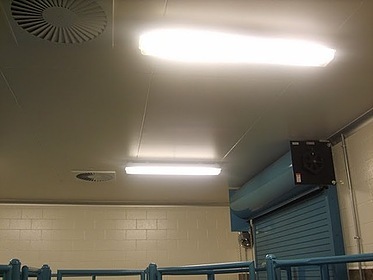 Monolithic wall and ceiling joints are bonded together and three way welded corner assemblies are available for inside ceiling corner and wall intersections. 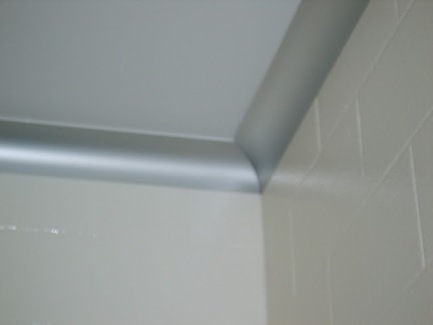 By eliminating corners, the radius coving system allows for total "cleanability." Wall-to-wall and wall-to-ceiling junctions can be trimmed with an extruded coving that features a large 3" radius. 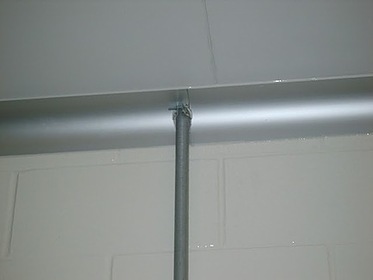 The 2-piece cove connects into an extruded clip that can be mounted to either wall or ceiling surfaces. Recessed panel base features an extruded aluminum track to accept both epoxy floor coves or VCT floor coving, producing a sealed, radius transition between the floor and wall. 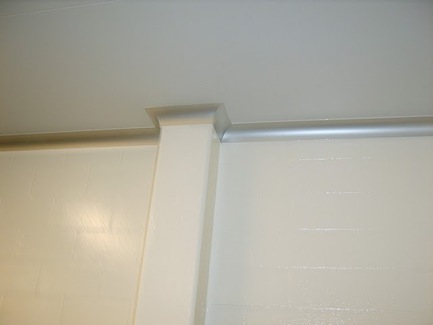 While originally designed for the PharmaSystem, radius coving can be adapted to many PortaFab wall systems so that one can create an easy-to-clean environment.